It’s been two years since the release of the CD “Somewhere in the Clod”. I admit I was a little lazy, but I’m still collecting themes for the new CD. I’m not 100% sure of the entire contents, but I’m sure he will find his listeners. I am sure that you like my music. I started working on music for a new documentary movie(Promotion / attract investors). Soon followed, and commercials for Heineken …. I remain open to any cooperation, and look forward to your calls and comments. 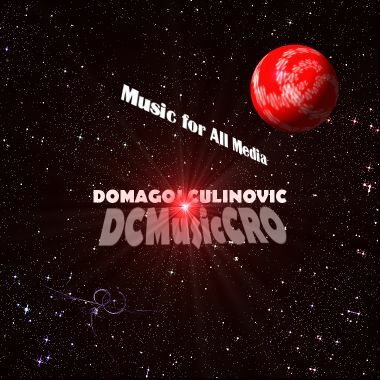 Listen and enjoy in new songs from DCMusicCRO! I use @TuneCore to get my music on iTunes. If you’re a musician, sign up with them today (you’ll get a discount). I use @TuneCore to get my music on iTunes. If you’re a musician, sign up with them today (you’ll get a discount)..
Where are going today’s music? What young people listen? I’ve been following for some time now that people listen and follow what is happening on Youtube. It has no more to do with the music, everything was just a marketing and information technology. Can any of you say that Stars are: One Direction, Justin Biber, Taylor Swift? Oh, folks what are the stars? Well Stars are the Rolling Stones, Tina Turner, Rick Wakeman, Vangelis, J.M. Jarre, Phil Collins, Santana, Steve Vai ….. These today’s babies by marketing managers enforce the masses to be a star, are not able to discern two chords played, they do not sing live but only open their mouths. Where are going today’s music? Where are going today’s music?. How anyone can get through the night, over one million likes on You Tube? I just watched some of the singers and bands from Romania. They have tens of millions of hits on Youtube! They should not even invited to sing at a local coffee! The same is with One Direction, Taylor Swift, Justin Bieber and whole list of “singers” and “bands”! If you have money, for 200 US$ you get to 50,000 likes on Youtube, for the same amount of 100,000 followers on Twitter ……. And where is all this music?